Thanks to the high 3 Megapixels (colour) resolution, a strong contrast ratio of 1500:1 and stable brightness of up to 1100 cd/m2, the monitor offers excellent image quality. Even the differences between the finest details are shown – regardless of your viewing angle. This is a great advantage if multiple physicians are looking at the screen. 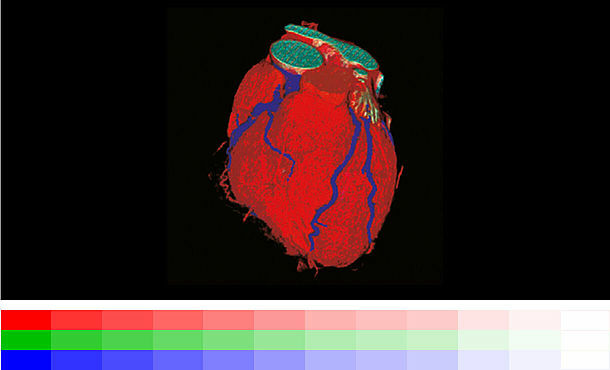 Radiologists face an increasing amount of information on their screens, as modalities become increasingly digitalized. 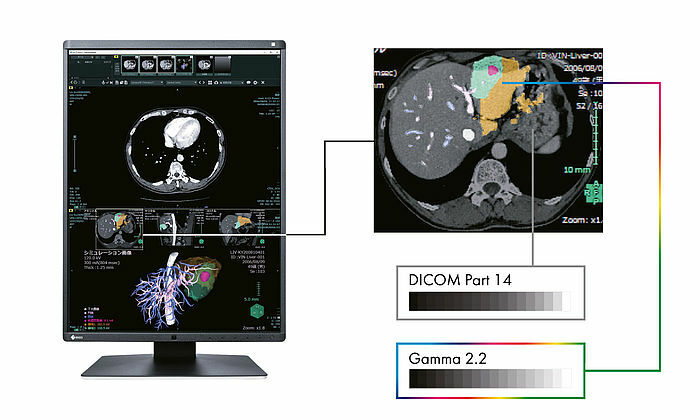 But imaging procedures now no longer need to be so complex, thanks to the unique Work-and-Flow technology from EIZO, featuring new functions developed specially to meet the requirements of radiologists. The RadiForce RX360 and RadiCS-LE software solution enable you to benefit from the Work-and-Flow functions. Extended durations of use thanks to automatic shut down.